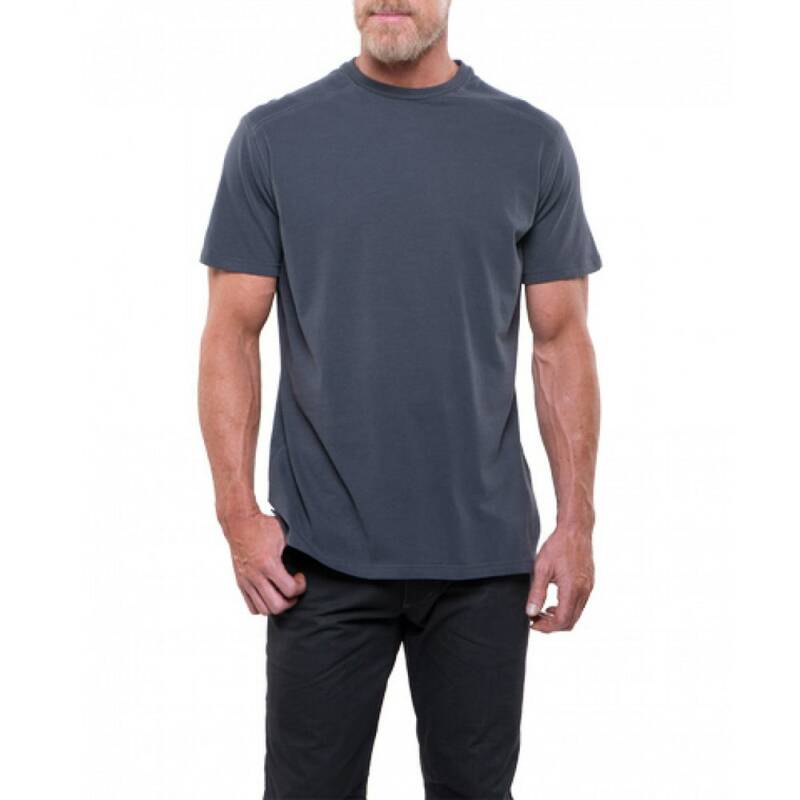 Constructed of 100% Wildfibre Organic Cotton™ with a Crystal Polish finish, this luxurious crew is highly breathable, super absorbent, supremely comfortable next to your skin. Wildfibre Organic Cotton™ is among the finest available cotton KÜHL can source, and a comparable fabric is not readily found on the market. With shorter fiber length on the outer surfaces of the cotton, less air is trapped and the fabric holds less heat. Wildfibre Organic Cotton™ with crystal polish finishing is not only softer against the skin - it’s truly kühl! Saddle stitch seams reduce bulk, and offset shoulder seams add comfort and style. Grosgrain ribbon at the back collar, bottom hem, and side vents add durability.